Securing Danny Elfman’s Music From The Films Of Tim Burton for the 2015 Adelaide Festival program must have been a dream come true for Festival organisers. 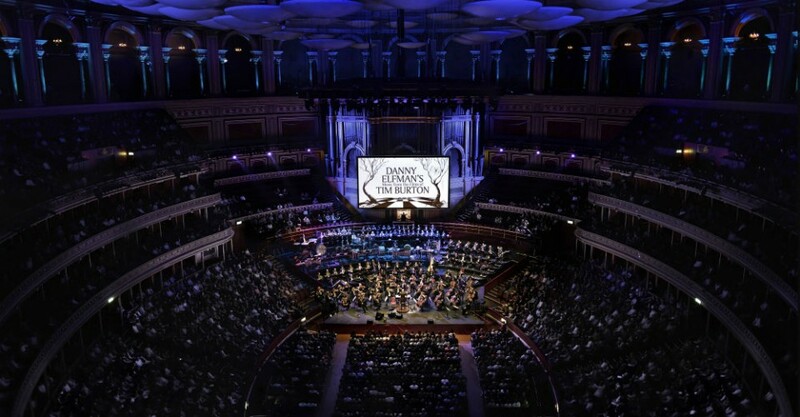 The program celebrates Elfman’s musical scores written for a myriad of Tim Burton films including The Nightmare Before Christmas, Beetlejuice and Edward Scissorhands. This is both a musical and visual feast, with original film sequences curated by Burton himself to showcase Elfman’s musical scores. Having premiered in 2013 at London’s Royal Albert Hall, this orchestral homage to the artistic partnership between Elfman and Burton has continued to receive rave reviews and is now set to make their Australian debut here at the Adelaide Festival. This promises to be a marvellous experience for Tim Burton film fans, no less because Elfman himself will be performing with the orchestra in Adelaide – a special treat not to be repeated elsewhere on Australian soil. The Clothesline speaks, via email, with award-winning solo violinist, Sandy Cameron, ahead of her first trip to Australia. Since making her debut at age 12, Cameron has worked with a multitude of conductors and orchestras across the globe. Working with Cirque du Soleil must have been an experience different to anything else you had done – would this be a fair assumption? “Absolutely. It’s not what people would generally expect a classical concert violinist to get involved with, but it was an opportunity I did not want to pass up. I enjoy different experiences, and I have always loved combining musical performance with other art forms, so performing in Cirque du Soleil’s IRIS was wonderful for me. Not to mention that I’m extremely grateful for the time I spent on that project. Ultimately, it was how I met and began working with Danny Elfman. “I was utterly thrilled with Danny asked if I’d like to play in the show for the US premiere in LA! But the best part was that he wanted me to play Edward Scissorhands. I have always loved the scene Edward becomes the neighbourhood barber—mainly because he performs his first haircut over a delightful 30-second violin solo. Sandy will perform as a special guest with the Adelaide Symphony Orchestra, an experience she is very much looking forward to. Can you share your insights into Danny Elfman’s music, and how they play from a musician’s point of view? Anything else you’d like Adelaide audiences to know? Danny Elfman’s Music From The Films Of Tim Burton performs at Adelaide Entertainment Centre from 8pm on Sun Mar 14.